•	Access to capital, whether that’s microfinance, traditional financing, such as from banks, or more sophisticated financing such as venture capital and private equity. •	Education and training, although not necessarily of the university and MBA kind. We’re talking crash courses on the practical realities of running a business and coaching. •	Networking and contracting opportunities. Cities with lots of networked businesses and chances to work for larger companies or as government suppliers, tend to support more businesses. What follows are 51 of the best, as ranked by (averaging) NerdWallet, Inc., Entrepreneur, Forbes, and Fortune. New Orleans has seen numerous incubators and events catered to assisting entrepreneurs come to town which has boosted the resources the city has available. It’s also well known that New Orleans has an amazing, vibrant and inspiring culture that attracts the creative entrepreneur types. But the main driver for young entrepreneurs may really be that for all of this the cost of living in the city is extremely low especially when compared to places like New York, Boston or Chicago. Entrepreneurs’ Row is a storied 30,000 square foot building with one of only three remaining cast-iron facades in New Orleans. The building serves as both the Conference Center for International House’s as well as Loft 523’s guests and the loft-like workspace for a cadre of the city’s most promising start-up companies. The Receivables Exchange, Free Flow Power Corporation, AudioSocketMusic and Bideo headline a roster that also includes Naked Pizza and TurboSquid. Led by top tier entrepreneurs, who are moving to this city in never-before-seen numbers, these rapidly growing firms are transforming the economy and credentializing New Orleans in profoundly new light. StartUpNewOrleans.com was co-founded by Sean Cummings, International House’s owner, and the CEO’s of three tenant companies. If you’re going to roll the entrepreneurial dice, it might as well be in Vegas. When hearing the word “Vegas,” most picture a city full of blinding lights and noisy slot machines — few think of it as a place to begin their next business venture, right? But according to Ronald Arceo, co-founder of The Foodbox, said, Vegas is a growing city, and it is the perfect place to test ideas and concepts. In fact, Las Vegas is in its early teens in terms of entrepreneurship and is currently experiencing a great revitalization, largely in part due to the Downtown Project. It’s not just Disney World and Universal anymore. The combination of enthusiasm, spirited cooperation, and drive from local people and universities is what makes Orlando a unique and exciting area for entrepreneurial startups. With the wealth of youth and energy in town, Orlando exemplifies the evolution in the business world. Collaborative workspaces, industry meetups, and networking events have created an atmosphere of innovation for the entire city. Founded in 2003, through the collaborative efforts of Walt Disney World, Orange County Government and The University of Central Florida, a “shared facility” and collaborative approach to small business development has attracted national attention for its financial efficiencies and the ability to leverage the resources and skills of each resident organization. Additionally, the center provides easy access to these business assistance organizations for local entrepreneurs. Since inception, the resident organizations have trained and counseled Central Florida businesses in record numbers, while creating nationally recognized business development programs. This innovative approach to economic development through small business, known as “Main Street Gardening,” has been instrumental in earning Central Florida recognition as one of the best places in America to start or grow a small business. According to Kyle Rogers, CEO of Knoda, the food — not just the barbecue! — is a great plus for anyone considering KC as a landing spot for their business. Rogers also said, “The energy coming from community and business leaders alike is refreshing and has the whole city moving in the right direction.” Some other exciting things to note in Kansas City include the Fiber House from Brad Feld, Think Big, Homes for Hackers, and the Kansas City Startup Village. Entrepreneurs can hit a home run in St. Louis. According to Josh Turner, founder of Linked Selling the exploding tech and startup scenes (GlobalHack, Arch Grants, T-Rex), along with a low cost of living and elite universities like St. Louis University and Washington University in St. Louis, make St. Louis one of the best-kept secrets in the country. While many think mid-westerners all look and talk like a ‘Duck Dynasty’ character; in reality, St. Louis offers a healthy blend of culture, community, and great opportunities for businesses of all sizes. •	Platform for initiatives that increase the region’s entrepreneurial capacity. •	A way to create networks for entrepreneurs and key stakeholders. The New York City of the south. Michael Mogill, President at Crisp Video Group said that not only is Atlaanta home to several Fortune 100 companies, like Coca-Cola and Home Depot, but it also has a rich history of tech-related successes, such as MailChimp and Pardot. Atlanta has a soft spot for less-established businesses, offering outlets for startups. Organizations like the Atlanta Tech Village and Startup Atlanta support entrepreneurs and promote connections between talent, ideas, and capital. Business-minded Buckeyes do well in Ohio’s capital. Many Fortune 500 companies, including American Electric Power and Nationwide Mutual Insurance, are based in Columbus. But don’t let the big guys intimidate you: The city is home to 19,341 companies with just one to four employees, compared with an average of just 9,611 small businesses for all metro areas in the U.S.
You’ll probably spend less on nearly everything in Columbus, from groceries to healthcare. Housing costs in the area are particularly low, at 20.3% below the national average for self-employed workers. The average rent for a two-bedroom, two-bathroom apartment is just $832 a month, versus $920 a month for the U.S. on average. You can also get free insider assistance to help cut through the red tape of setting up shop. In July 2014, the city council introduced Ryan Schick as its “small business concierge,” a newly created position specifically tasked with helping entrepreneurs get settled in Columbus. When you think of the Mile High City, entrepreneurship is likely not what you think of first. And yet many entrepreneurs have already figured out that the mile-high city provides stable ground (and beautiful scenery) for lofty business goals. Denver boasts the greatest number of small businesses per 10,000 people on this list. And 58.5% of all its establishments have just one to four employees, compared with 54.6% for the U.S. Despite slightly higher than average living costs, the environment is quite affordable for local businesses. According to consulting firm KPMG, business costs for all industries in Denver are 1.6% below the national average. Even better, costs for software and video game developers are 4.3% below average, and costs for biotech firms are 6.2% below average. Colorado operates a strategic fund that offers cash to eligible companies that create new permanent jobs that last at least a year. Denver also offers financing programs that provide up to 50% of a project’s costs if you set up shop in specific parts of town. Indianapolis sports a burgeoning start-up scene with an exceptionally low price tag. Not only does it offer affordable living costs, the Indiana capital’s business costs are also low, at 3.8% below average, according to KPMG. Plus, the Tax Foundation ranks Indiana among the 10 states with the best business tax climate. The state plans to lower its corporate income tax rate to 6.5% on July 1, 2015. The rate was 8.5% as recently as 2012. Verge is Indy’s go-to software start-up network, which connects more than 2,500 entrepreneurs, investors and developers. It hosts regular events at which hopeful company leaders take the stage to pitch their ideas to investors. A couple of funding sources identified by IndyMade: SproutBox in nearby Bloomington invests its own employees’ time and talents in start-ups, rather than simply writing a check. For selected entrepreneurs, the seed fund offers assistance with software development, marketing and accounting services, six months of furnished office space and more—typically worth between $200,000 and $250,000 in cash and services. Halo Capital Group is a more traditional angel investor. 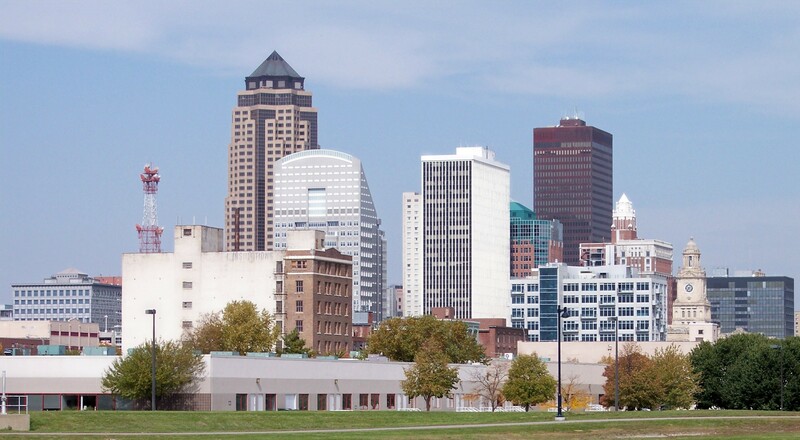 Des Moines proves that you don’t need to be in a big city to get your big start. This relatively small city packs in an above-average concentration of small businesses, as well as a highly educated workforce. Business owners are drawn by the area’s affordability. Living costs are low across the board, but housing is particularly cheap, at 16.9% below the national average for self-employed workers. The Iowa capital city’s median home value is $118,600, which is $62,800 less than the national median. Networks such as Central Iowa Source Link and the Business Innovation Zone can help you connect with other hopeful entrepreneurs, potential investors and additional valuable resources. The MicroLoan Program, for example, can provide up to $10,000 to Des Moines businesses with five or fewer employees. What’s more attractive about Salt Lake City—its high peaks or its low costs? The owners of the city’s more than 16,500 small businesses would likely vote for the latter. Area living costs are cheap, and business costs are nearly as affordable, at 3.4% below the national average, according to KPMG. Plus, the Tax Foundation rates Utah the ninth-best state for business tax climates, with markedly favorable corporate and property taxes. Young entrepreneurs may be particularly drawn to Salt Lake City. After all, it has a median age of 30.9 years old, 6.3 years younger than the national median. That youthfulness may be helping to propel the growing tech community. Google Fiber may also have something to do with it. The ultra-high-speed broadband network has already broken ground in Provo, about 45 miles south of Salt Lake. And the capital city itself is on the short list to be next. Try connecting with others in the local tech community through online network SiliconSlopes.com. Not everything’s bigger in Texas. More than 23,500 businesses in the capital area count themselves as small—about 2.5 times more than the national average. And their ranks are growing, fueled by a healthy flow of investment dollars. Austin, with $362 million worth of venture capital invested during the first half of 2014, was among the top 10 metro-area destinations for VC money, according to the National Venture Capital Association. Also on the small side are the local bills for both daily expenses and doing business. Groceries are notably cheap, typically costing 12.8% less than the national average for self-employed workers. And the Tax Foundation ranks Texas as the tenth-best state for favorable business taxes. Austin, the home of the University of Texas, offers a rare opportunity for the technologically inclined as a construction site for Google Fiber. Tech start-ups can connect with each other, as well as investors and potential partners, through business incubator and accelerator Capital Factory. Some of the benefits of joining the group include introductions to potential mentors (who are successful entrepreneurs), exposure to investors and access to co-working spaces. What’s in Tulsa? Among the lowest living costs in the country, for one thing. The city offers particularly cheap housing, with costs a whopping 34.5% below average for self-employed workers. The median home value is just $121,700 in the city (versus $181,400 for the U.S.). More than 12,700 small businesses are in Tulsa. That’s amazing. In a cozy metro area with less than a million people, that concentrated presence means small businesses make a big impact on the local economy. According to the Tulsa Regional Chamber, small businesses create two-thirds of all the new jobs in the region and post an annual payroll of $1.4 billion. In July 2014, more than 40 regional business owners formed the Tulsa Small Business Connection, aiming to provide resources for potential and existing small-business owners. Music City has evolved into a huge entrepreneurial hub. The nonprofit Entrepreneurial Center helps start-ups in the health care, technology, social enterprise, and digital media and entertainment industries catch their big breaks, too. The Center’s incubators offer mentorships, networking assistance and other resources to help businesses launch within six months. The biggest advantage to setting up shop in Nashville is its affordability. The Music City offers low living costs, and its business costs are equally affordable. Business costs are 5.1% below the national average across industries—and are markedly low for corporate services such as financial firms, at 13.2% below average. And while you’re saving on expenses, you can also collect some seed money. One accelerator firmly supporting Nashville is the Jumpstart Foundry. In addition to $15,000 in funding, it provides select companies with a 14-week mentorship program. Sure, it’s known as the home of Warren Buffett… but when it comes to business building, what works for Warren Buffett can work for you, too. Omaha offers local residents and business owners rock-bottom living costs. Business expenses are a steal at 5.7% below the U.S. average. They’re particularly favorable for financial services firms, at 15.2% below average. Oklahoma City is home to more than 18,600 small businesses, nearly double the national average for all metro areas. It also sports the second-highest number of small businesses per 10,000 people on this list. Affordability is one of the area’s main draws. Coupled with low living costs, business costs that are 4.9% lower than the U.S. average prove very attractive to budget-minded business owners. Oklahoma’s tax situation leaves something to be desired; the Tax Foundation ranks it at 32 out of all 50 states for business tax climate. But the city and state provide significant incentives to offset some of the tax impact and attract companies. For example, Oklahoma’s “quality jobs” incentive programs offer cash back to companies for creating new positions that pay better than the county’s average wage. GrowOKC Fund, targets existing small businesses based in the capital city. It provides selected entities with investments of $100,000 to $250,000 to fuel their growth. Pittsburgh has completed the transformation from a smoky, industrial city to not only one of America’s most livable cities, but also one of the best cities for new entrepreneurs to blossom. Pittsburgh has been referred to as “the Silicon Valley of the East” in the past. Efforts at both University of Pittsburgh and Carnegie Mellon University in recent years have turned young college graduates into just the entrepreneurs this city needed to grow their active startup community. The Universities have encouraged students and faculty to get research ideas out the door and into the market. Pittsburgh has a large number of Engineers in town, another huge entrepreneurial asset that most startup teams cannot find easily in the big cities. The city itself is not hard to sell due to its affordability, which in turn helps entrepreneurs recruit the best employees for their business. It is not only a great place for a business but also an exciting and comfortable place to live. Basketball superstar LeBron James has brought excitement back to the city. So has the LaunchHouse. The emerging culture of entrepreneurship is producing wealth and jobs in the Cleveland area, which stems from its heritage, diverse population, educational institutes, as well as arts and sciences. Recently the city has become a hotbed of innovation and entrepreneurship. How has this happened? It has taken some time but within the past 8 years there has been an increase in seed, angel and early-stage funding sources both at private and state level. Venture capital firms and angel investment networks, like North Coast Angel Fund and Akron Archangels, are working to fund Cleveland-based startups. Another huge aspect of the Cleveland area are the colleges and universities that help foster young, passionate, young people who make the area a cool, fun, and an artistic hot spot. With its eclectic community, Cleveland is attracting more startups every day. Dallas is rising in the ranks of the best cities in America. In addition to practical business advantages (major city, no state tax, right to work), Dallas is a vibrant city competing with Los Angeles style and New York fashion and culture. That mentality has — and will — continue to drive the culture to generate more opportunity for everyone. The Dallas Entrepreneur Center (the DEC) serves entrepreneurs in the Dallas area, providing a location where they can receive training, education, mentorship, promotion and access to capital in order to encourage and equip the entrepreneurial community to start, build and grow their businesses. Facilitating a culture of entrepreneurship and ‘giving before you get’, the DEC connects new and old entrepreneurs with a vibrant, collaborative environment. Daejeon was just a small village at the start of the 20th Century, but the arrival of the railways quickly formed it into a transportation hub. Now the city of 1.5 million people, roughly centrally located in South Korea, is sometimes called Korea’s Silicon Valley. It’s still a transport hub for road and rail (Seoul is 50 minutes by high-speed train) but it’s also where much of South Korea’s science and technology development happens. Everything from biotech firms to green science happens here, and it’s home to the Korea Advanced Institute of Science and Technology, which develops robots we cover from time to time. These firms and educational research establishments spin off young companies from time to time, and events like the Daejeon Startup Weekend help. It’s a 54-hour affair where participants try to build a mobile or web product in one sitting, and which promotes networking and actually new companies. Perhaps the best-known high-tech concentration in China is the Shenzhen Hi-Tech Industrial Park. Before 1979 it was just a small village in Guandong Province near Hong Kong. Then it became the first of China’s Special Economic Zones—regions which are afforded an extra degree of freedom and investment compared to other parts of the nation—and it’s flourished. It’s now one of the fastest-growing cities in the world, attracting billions in investment, often from foreign firms. Big name firms like Huawei have facilities in the area, alongside huge manufacturing facilities owned by companies like Foxconn. But there’s also a quiet but growing startup culture and another Startup Weekend happens this November. And there are ongoing efforts like the HAXLR8R startup incubator, trying to stir up interest in entrepreneurial activity. While you may think of Japan mainly in terms of mega-corporations like Sony—undoubtedly high-tech, but hardly a startup—the nation quite definitely has a startup scene. Back in April the New Tech Japan Night IV saw a list of innovative new Japanese firms presenting their ideas. Japan has made some big efforts at promoting innovation in science and technology, and the Kansai Science City (near Kyoto) and Tsukuba Science City —which was modeled on, among other places, Palo Alto—seem successful efforts at concentrating business and education into small regions. Tokyo itself is a startup hub, with efforts like the Open Network Lab (a very Y Combinator-like incubator/investor) serving to boost startups in the city. Hong Kong only had three new business incubation hubs about three years ago. There are now 32 of them that have given a starting boost to 1,600 companies between them. The global economy is continuing to shift. China’s importance as a marketplace continues to grow and the importance of south-south trade is also rising. Hong Kong is well placed to benefit from these factors influencing the world economy. Numerous startup success stories have begun to come out of Amsterdam over the past few years—combine these accomplishments with cheap rent space and a liberal young atmosphere, and you’ll have a new startup and tech hotspot for young people across the continent. Amsterdam also hosts a variety of popular startup events, such as Amsterdam Startup Week, that flock entrepreneurs to the city and inspire and advise them through their company’s endeavors. With such a positive environment, this scene is sure to develop and expand in the future. Despite its beautiful weather and beaches, Barcelona also contains some of the most successful and growing startups in the Spanish country. With the creation of the E3 Union, a network for Spanish entrepreneurs, young people in this city are continuing to develop and expand their startups, with the encouragement and assistance of the various other aspiring business leaders. Moreover, the creative and practical applications that have been developed within the past few years foreshadow an even greater increase in startups in this European hub. Despite its small size, Tallinn, Estonia brings significant talent to the technology and business world. The birthplace of Skype, the city continues to flourish, especially due to its high population of incredibly intelligent programmers and ambitious entrepreneurs. Estonia’s government has actually already implemented technology into the country’s daily functioning: electronic voting, signing, and much more have all become routine aspects of an average citizen’s life; this encouragement from the government continues to pave the road to success for this tiny yet tech-y city. Arlington is not only a desirable locale because of its proximity to the D.C. metro area, but it is home to a well-educated crowd. An astounding 74% of its residents over 25 hold a bachelor’s degree or higher: the highest percentage in the nation. This creates a breeding ground for talent. What’s more, at 3.7%, Arlington boasts one of the lowest unemployment rates in the country. This, coupled with a high per capita income and a bustling startup community, makes Arlington one of the most attractive places in America to start a business. 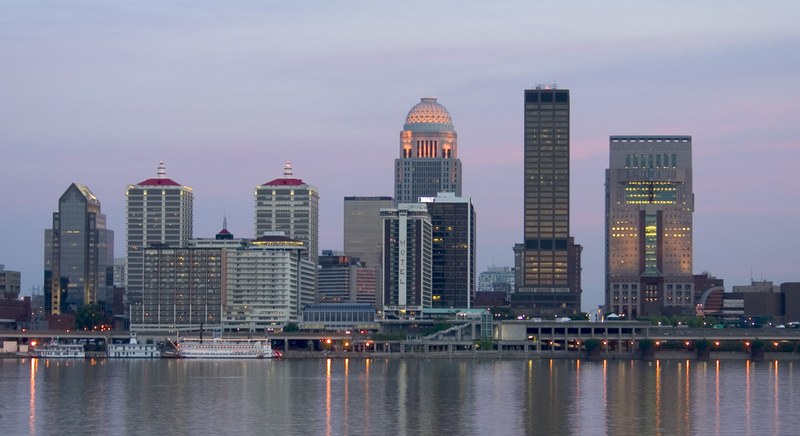 Louisville has a population of over 700,000 and supports five colleges: University of Louisville, Bellarmine University, Spalding University, Sullivan University, and Simmons College of Kentucky. The city is vibrant and college sports are a huge event with so many schools in the area. The city is critical in the cargo and shipping industry as it is within one day’s road travel to 60% of the cities in the continental U.S.. According to the Kauffman Foundation in 2011 Louisville outperformed the nation in being home to fast growth companies and was among the top states in the nation in terms of new start-up companies formed. Birmingham remains the most entrepreneurial UK city outside London, according to data released by StartUp Britain. Analysis of Companies House data shows that 18,337 new businesses were registered in Birmingham during 2014 – an increase of over 2,000 on the previous year, and more than any other city outside the capital. Bridging to the Future is a business incubator specializing in micro business and social enterprises. Everyone in Bridging to the Future are active entrepreneurs and business people, driven and passionate about supporting others on their business journey. Given the cheap cost of living, it’s no surprise that eventually young entrepreneurs will flock to Bucharest. The city hosts many business and technology related events year-round, constantly bringing inspirational talent and successful leaders to the city and attracting entrepreneurs as a result. Over the next few years, there is no doubt that the city will continue to expand its startup and tech scene and eventually develop a reputation as one of the major European startup hubs. As a start-up hub, Bucharest has a lot going for it, including high speed fiber internet connections (Romania was ranked fifth best in the world for internet connection speed by bloomberg.com), low operating costs and overheads; energy, real estate and utilities are around four times cheaper than in Western Europe, plus a wealth of home grown technical talent. However there are barriers to business growth; including a lack of start-up funding, either bank lending or equity investment, and a relatively small domestic consumer market, but that hasn’t deterred entrepreneurs like Mihai Pocorschi CEO and co-founder of mobile advertising platform mobuy from seizing the start-up opportunities that Romania offers. Another city that should be looked out for, Lisbon is definitely expected to create a huge, tech startup scene within the coming years. The government created a startup incubator two years ago, bringing numerous new startups to life. Technology companies are becoming increasingly popular, and these increased resources coupled with government assistance are inviting entrepreneurs to pitch and develop their ideas. The city hopes its efforts will eventually dub it one of the major startup hubs, making it essentially the San Francisco of the European Union. Spotify created a snowball effect in the Stockholm startup scene: numerous entrepreneurs who have been developing their companies in the city have also become success stories, earning thousands to millions of euros by selling their businesses to big-name companies. These events have greatly inspired and encouraged creativity in the city, inviting more young people to pursue their business goals in such a growing environment. Expect to hear about more products and services coming out of Stockholm in the future, as this city is definitely becoming a major startup hub. Government initiatives, like Startup Chile, have helped Santiago startups thrive. (Similar initiatives have proven successful in Israel. Santiago still needs to attract more entrepreneurs and investors from the global community, but Startup Chile has brought in over 480 startups since the program’s founding in 2010. Santiago is also the global capital for women entrepreneurs — females make up 20% of the area’s startup workforce. Chilean entrepreneurs, like their Russian counterparts, are starting young. The average age of entrepreneurs is 28, compared to Silicon Valley’s 34. They’re just as ambitious, however, and rely heavily on incubators and accelerators. Startup Genome touts Santiago as “an example of how policy makers can help to kick start a startup ecosystem,” with initiatives like Startup Chile attracting entrepreneurs from all over the world. The city’s biggest issue, however, is funding: Santiago’s startups raise 96% less funding overall when compared to Silicon Valley’s. Bangalore takes a spot on the list of top startup regions for several reasons, including its talented and highly educated workforce. But government support is needed to help startups develop in a country already crowded with established tech companies. At an average age of 37, entrepreneurs from Bangalore are among the oldest working in startup regions recognized by Startup Genome. India may not seem like the ideal place to start a company, but it’s got one of the biggest markets on the planet. Entrepreneurs who do brave it are often highly educated and skilled in what they do. They work almost a full hour more than entrepreneurs in Silicon Valley (10.86 hours compared to 9.95) and are about three years older on average than SV’s entrepreneurs. Technology, however, is outdated, and there’s an overall funding gap at all stages of product development. Melbourne is getting attention for its startup potential, but it will need to distinguish itself from Sydney to truly shine. Melbourne’s most notable challenge: funding. Startups receive 86% less funding than Silicon Valley startups and have difficulty acquiring capital when they want to grow. Only 22% of Melbourne’s entrepreneurs have PhD degrees, compared to Silicon Valley’s 42 percent. They have plenty of mentors, however, to learn from, similar to Silicon Valley. Location counts for everything right? Singapore’s proximity to China and India is an encouraging fact for entrepreneurs who hope to expand globally. Funding isn’t as much of an issue as it is in other parts of the world and, similar to Waterloo, Singapore has a strong connection to Silicon Valley. Entrepreneurs in Singapore certainly do not lack work ethic. They clock in an average of 11 hours per day, longer than entrepreneurs in any other ecosystem on this list. Waterloo has one of the strongest (unofficial) connections to Silicon Valley out of all the cities on Startup Genome’s list — 35% of Waterloo entrepreneurs once worked in the Valley. As with other Canadian startup hotspots, Waterloo also suffers from funding challenges. One positive: 28% of Waterloo startups focus on mobile, a market that continues to expand rapidly all over the world. This northeastern Canadian city is emerging as a startup powerhouse, but its proximity to Toronto could be cause for concern if its talent flees. So far, however, Waterloo’s startup workers spend just as much time in the office as those in Silicon Valley and have a similar technology adoption rate. Most rely on accelerators rather than angels or VCs for capital. Only 33% were launching businesses in fields they actually had experience in, a stark contrast to Silicon Valley and other successful startup cities. Berlin is on the verge of blossoming into a European entrepreneurial hub. Some entrepreneurs see Berlin as an earlier version of NYC. Entrepreneurs in Berlin are different than those in Silicon Valley in almost every way: fewer PhDs, smaller target markets, and more than twice as likely to pick up consulting work on the side. But Startup Genome’s researchers found that the intangible qualities within the two regions — work ethic and motivation — were very similar. Berlin, like a new company itself, is slowly evolving. If you look at where New York was a couple of years ago, you can see a parallel to where Berlin is now. Funding mostly comes from banks or advertisers, not accelerators or venture capital, and startups tend to tackle smaller markets. Despite this funding gap both before and after product market fit, entrepreneurs that have hit it big are more likely to give to fledglings in terms of both capital and advice. Russian entrepreneurs are kids compared to Silicon Valley’s: on average, they’re about 28 years old, compared to SV’s 34 year average. The startup economy picked up in 2010 when the government began funding more accelerators and incubators and the amount of seed capital dramatically increased. That year, deals site Darberry was purchased by Groupon as well. Moscow still has the 19th lowest funding index, especially in the early stages of development. To move up on the global startup food chain, Moscow-based founders will need to adopt emergent technology and concentrate more readily on mobile growth. One problem on the horizon is political, and Russia’s current standoff with the U.S and the E.U. This is highly likely to inhibit west-funded startups. The Brazilian economy was booming prior to the European fiscal crisis (7.5% GDP growth in 2010) and entrepreneurs and investors alike hope the trend picks up once again. Sao Paulo entrepreneurs mainly focus on smaller markets and have yet to adopt the global shift toward mobile; only 3% of startups are likely to build mobile products. But as Sao Paulo continues to grow, so will its startup culture. Brazil’s economic future is promising, but for now entrepreneurs are struggling. They have fewer mentors and less funding, and are less likely to try mobile platforms or adopt new technologies. Sao Paolo will grow by attracting local talent and capital, becoming a large home-grown market to test ideas before global expansion. Startups in Sydney do well, but the rest of the world may not know much about them. Entrepreneurs from Sydney face significant challenges influencing markets outside of Australia. Most startups go after smaller markets (possibly because they have fewer employees, on average) and raise 59% less capital than their Silicon Valley counterparts. While Sydney is the largest startup hub in Australia, its influence has little, if any, effect outside of the continent. That might not be surprising, given that they’re 57% more likely to focus on small markets compared to startups in Silicon Valley. They’re also less likely to outsource product development, keeping all but almost 6% for themselves. The city boasts little early stage funding, however, and more and more entrepreneurs are taking off to San Francisco or Asia. Unlike the Valley, which was built with the help of foreign entrepreneurs and investors, Paris has had trouble attracting the world’s most talented business minds. Startups often run into funding issues in the late stages of their development and only 7% of entrepreneurs in Paris are female. Parisian entrepreneurs recently visited Kendall Square to get a sense of what makes a booming startup center. Paris’s startups outsource as little as those in Silicon Valley and have comparable work hours, similarly sized markets, and as many employees at each stage of development. 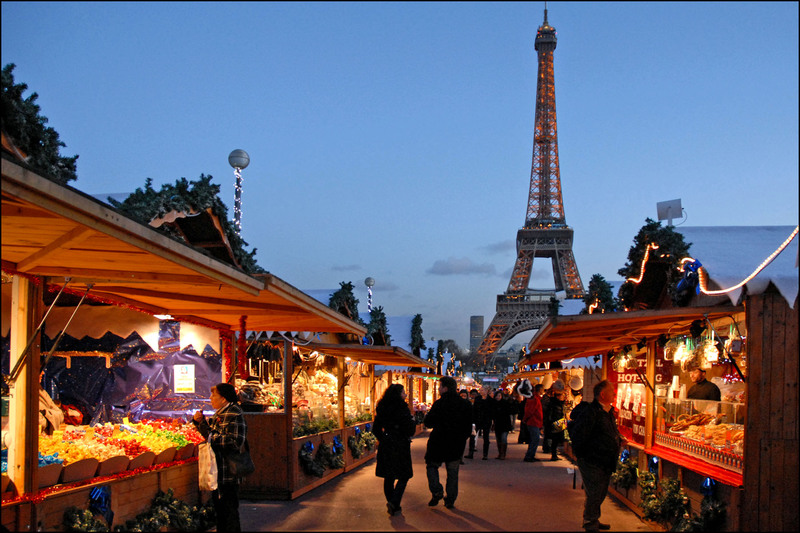 Where Paris falls short, however, is in funding. Chicago’s startup scene may be best known because of Groupon but the Windy City is quietly emerging as the top entrepreneurial region in the Midwest. At an average age above 37 years old, entrepreneurs operating in Chicago are among the oldest in Startup Genome’s list of top cities for startups. A sizable portion of these entrepreneurs have connections to Silicon Valley. One-fifth of the region’s startup founders once lived or worked in the Valley. In 2011, Chicago saw a 97 % increase in the number of startups launched from the previous year, according to TechFaster.com. Groupon’s home city ranked a respectable 7th in terms of mentor support on Startup Genome’s rankings, but was relatively low when it came to garnering funding and talent. Vancouver ranks in the bottom half in almost every major category in Startup Genome’s study — except talent. The second largest Canadian startup scene ranked fourth in overall entrepreneurial chops, a strength that can make up for inadequacies in other areas. Similar to Toronto, Vancouver startups suffer from a lack of funding sources. The photo-sharing company Flickr is arguably the most successful startup from the area. An average of more than 1.5 million photos were uploaded to the site every day in 2011. Regionally, Toronto has to compete against other startup magnet cities like NYC and Boston, but the Canadian locale holds its own even though it has 85% fewer startups than Silicon Valley. Despite claiming the top spot in Canada, though, Toronto suffers from insufficient capital sources; many entrepreneurs are forced to rely on self-funding or rounds from family and friends. Some fear that entrepreneurs from Toronto may head to other regions unless better funding options become available. Toronto’s startups are similar to those in Silicon Valley in all of the right ways. Both have high levels of ambition, technology adoption, and mentor support. Toronto, however, employs fewer people per stage and outsources almost twice as much of its product development. It’s also seriously lacking in capital, with 71% less than Silicon Valley. Startup Genome recommended that policy makers help close the funding gap by instituting tax breaks, incentives, and other investor-friendly policies. London can claim the title of Europe’s best startup locale and is the most likely destination for U.S. startups to set up shop abroad. Significantly fewer startups are located in London than in Silicon Valley (63% fewer, to be exact), but the two regions have similar support systems. London-based entrepreneurs lean heavily on like-minded colleagues in their area and each startup, on average, consults more than three mentors. London’s output of startups is 63% lower than that of Silicon Valley, but it’s still the biggest producer in Europe. Of the startups surveyed, 50% rely more heavily on PHP and other old technologies to get themselves off the ground. In Boston, startup money is plentiful. Boston-area entrepreneurs are certainly an educated lot as well, as they are three times more likely to have a PhD than those in Silicon Valley. However, there are 79% fewer startups than in the Valley. Entrepreneurs in Boston are less driven to build a company that they can quickly sell off and are more interested in creating a great product. Boston startup scene is still piping hot. More and more startups are choosing Davis Square for their HQs, and Kendall Square houses contingents from Facebook to Vee24, a British startup basing its US operations there. As the top startup breeding ground on the East Coast, New York has launched a number of impressive and nationally recognized enterprises in recent years. Entrepreneurs interested in tackling the world of ecommerce may find New York more fruitful than Silicon Valley, and many female tech entrepreneurs have also settled in NYC; women account for one-fifth of startup entrepreneurs in the area. About 18% of its tech entrepreneurs are women, making it the global capital for female entrepreneurs. When it comes to financial capital, however, there’s a major gap: startups have 70% less funding than Silicon Valley before product market fit and 16% fewer mentors to look up to. For years, Microsoft was considered Seattle’s crown jewel, a position that was only amplified by the return of Steve Jobs to Apple in 1997, upping the competitive ante between the two tech giants. 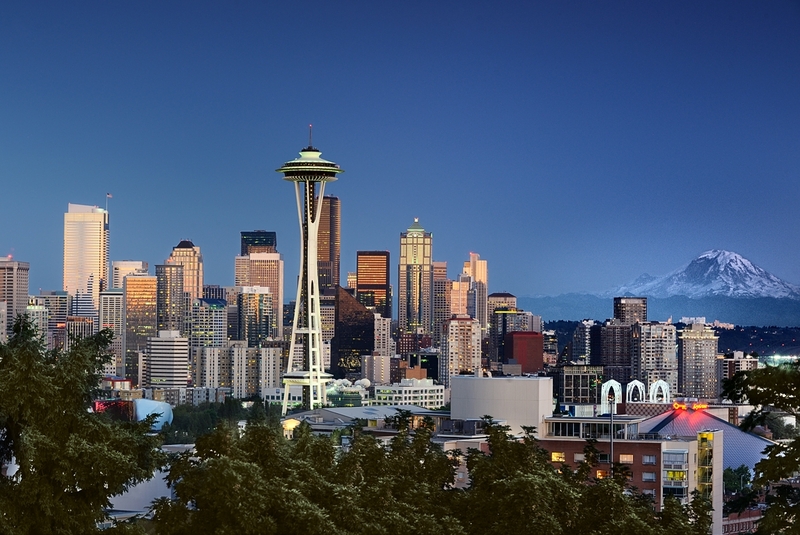 A strong tech history and close proximity to Silicon Valley make Seattle a great place to network and establish roots. Seattle and the Valley share quite a bit in common, including people: 41% of Seattle entrepreneurs once worked in Silicon Valley. According to Entrepreneur.com, Seattle’s median tech wage is $96,197—a comfortable middle slot when compared to other big US tech hubs. One of its greatest weaknesses, however, is in adopting new technologies and setting trends. It ranked especially low in entrepreneurial activity in the city as a whole. The enormous shadow of Hollywood and the entertainment industry has made it challenging for L.A. startups to gain traction, but that is quickly falling by the wayside. L.A.’s high visibility on the West Coast certainly doesn’t hurt. A hefty portion of L.A. startup founders (29%) once contributed to its neighboring startup scene to the north. A sudden proliferation of technology and Internet-based startups as well as angel investors interest in them has reinvigorated entrepreneurship with less stress on traditional risk factors. It also showed that L.A.’s entrepreneurs are rather well trained to begin with: 63% had previous experience in the market their startup targeted. Their risk tolerance, however, is lower than their counterparts in Silicon Valley—they’re 10% less likely to work full time before successful product market fit. Tel Aviv boasts the highest density of tech startups in the world. Startups in Tel Aviv rely more heavily on advertising for revenue than startups in Silicon Valley. They also tend to focus on smaller, tech-driven markets instead of big market winners. Campus Tel Aviv, powered by Google for Entrepreneurs, is a hub for entrepreneurs and developers located in the heart of the startup nation. They offer a space for developers and entrepreneurs to attend and organize events with speakers, mentors and other entrepreneurs; a “hack space” and device library to develop and test new ideas; and “Google Launchpad”, a two-week boot camp for early stage start-ups helping with subjects including user interface, product strategy & technology, marketing, business development and more. If you’re a passionate entrepreneur or start-up, a software developer, or are just interested in attending our activities, Campus Tel Aviv might just be the place for you. It’s the gold standard for startup ecosystems. The area’s support network and funding potential (capital raised in SV is 32% higher across all stages of a startup’s development) make it the ideal location to start a new business. The greatest challenge may be living up to the region’s all-star lineup of founders, which includes Mark Zuckerberg (Facebook), Jack Dorsey (Twitter and Square), and the late Steve Jobs (Apple). TiE Silicon Valley is a nonprofit association dedicated to fostering entrepreneurship in the Bay Area as well as globally. TiE strives to inspire entrepreneurs through mentoring, networking, education, incubating, and funding programs and activities. With nearly 50 events held each year, TiE brings together the entrepreneurial community to learn from local leaders as well as each other.